Our core goal at Denny Baptist is that through our services, and through our service to the community, people will be able to encounter God. We believe that we primarily encounter God in the person of Jesus Christ and so Jesus is the centre point and focus of all that we do. As a congregation we seek to live under his rule and lordship and to follow his example of sacrificial self-giving to others and that it is as we live as authentic disciples of Jesus, (and not just worshippers), that his life is most clearly seen in us. We recognise that faith in Jesus is a journey and not a single life event, and that we are all at different points on that journey. Fellowship expressed in mutual care and support is an important part of our life together and an important means of how we encounter God. 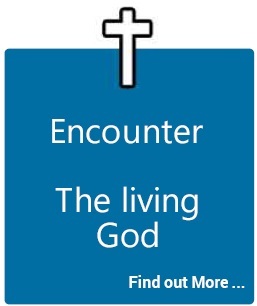 Our hope is that all who come into contact with the church will see something of the reality of God in us and come to encounter him for themselves.